Are you looking to make some extra money on the side with a full-time job? Who wouldn’t like to have some extra cash in the bank? Earning extra cash on the side doesn’t have to add the stress of another full-time job to your plate. Today we’re going to talk about how to make extra money on the side – because we can all use extra cash at times. And while that may come as a surprise to many of you, to others, it merely confirms the figurative writing on the wall. Now more than ever, people are turning to side hustles as a way to pay the bills and legitimately make extra cash on the side. Side hustles or “side gigs” are especially popular among millennials who have latched onto the flexibility associated with setting your own hours and not having to work for someone else. Further adding to the appeal is the fact that they’re often location independent ways of making money…meaning gone are the days of getting up and actually going to work. We’ll concede there are some obvious perks: no more workplace drama, no wasting an hour of time on a daily commute, no more meeting deadlines or taking orders from a demanding boss. And so, with that in mind, we created a fresh list of income generating ideas for the current world we live in. Some ideas are direct ways to make extra cash. Others amount to a few bucks saved by installing popular apps or by participating in generous rewards programs. And for those of you feeling extra spunky, some ideas are even lucrative enough to bring in a full-time income, freeing you from the rat race once and for all. No matter your reasoning, it’s time to break the paycheck to paycheck cycle and make 2019 your best year ever with one of these 18 legitimate ways to make extra cash! The gig economy is in full force, which means there are plenty of opportunities for people with full time jobs to earn a decent side income outside their normal 9 to 5 workday. As a courier for Postmates, you’ll can make money by delivering “stuff” — things like groceries, restaurant food, and even alcohol. And if you don’t have a car, you can use a bike or moped for deliveries (plus you’ll get a great workout). There is not cost to get started with Postmates and no ongoing commitment; you can “work” as much or as little as you’d like. You’ll take home 100% of what you earn every time you complete a delivery, and you’ll be able to see an exact breakdown of how your commissions are calculated. ✔️ Create your account – This just requires your basic information, a profile photo and proof of identity. ✔️ Get a welcome kit – Once Postmates verifies your identity, they will send you a delivery bag and prepaid debit card in the mail that you will use for your deliveries. ✔️ Get the app, go online – Link your prepaid card to the Fleet app, then go online and start accepting delivery offers and get paid! Even though there are many factors that will impact your specific pay, Postmates claims that “experienced couriers” can make up to $25 per hour. I wouldn’t expect to make quite that much, but this is certainly more lucrative than some other items on this list (like surveys). This one is much less labor-intensive than delivering with Postmates, but can still bring in some extra spending money each month. First, register for a reputable survey site like Survey Junkie (they’ve got over 3 million members and they’re one of our favorite survey sites). Another good one is Swagbucks. Second, complete your user profile with legitimate information. Finally, Survey Junkie will then match the information you submit with brands looking for people that are similar to you. You are notified of surveys via email so keep a close eye on your inbox to see when one pops up. Payouts are redeemable through gift cards to any of the major retailers or through e-wallets such as PayPal or Venmo. You won’t be eligible for every survey so sometimes repeating the process for similar sites will help maximize your earnings. You can make of thousands of dollars a year by proofreading. Take Caitlin Pyle for example. She made $43,000 during her first year of proofreading…in her spare time…while studying abroad. Fast forward three years and she’s now made over $3,000,000 teaching others how to take advantage of such a profitable market. If you possess strong grammar skills, a knack for spelling, and more time than Caitlin did, odds are you can make some serious cash with modest effort. See if proofreading may be a good fit for you by taking one of her free workshops. Popular cashback sites such as Ebates work by negotiating with major retailers to get you anywhere from 2% all the way up to 60% off your everyday purchases. They’ve negotiated discounts on nearly every brand so there’s no reason not to save on all of your normal purchases. Ebates also has a generous referral program where you can refer friends to earn even more. It’s tiered so you’ll have to check out their site to learn more, but your first referral earns you a crazy $25 with $5 per referral thereafter. Your friends will also get $10 for signing up and you can earn bonuses worth several hundred (and even thousands) of dollars if you’re a frequent referrer. Through Ebates and my cashback credit card I am able to save, at minimum, 2% on every single purchase I make. It may not seem like a lot but that earned me well over $2,000 last year. What’s not to like about getting an easy $50-$100 (or more) deposited into your bank account each month for no extra effort? See Also: Ebates Review 2019: How Does the Cash Back App Work? Is it Legit? Using Airbnb as a way to make money on the side with a full-time job is a gift that keeps on giving. Renting things to save on expenses isn’t something new. Renting out a room to make extra cash isn’t exactly new either. Gone are the days when you had to list something in the newspaper only to deal with sketchy people over the phone. That’s where more modern rental services like Airbnb come in. They offer assurances such a $1,000,000 host guarantee (against rental damages), guest protection insurance, and their ratings system is similar to that of major companies like eBay. To put into perspective just how popular Airbnb has become, consider that 50 million people used the service to book rooms in 2017. If you want to save a ton of money on your next trip, consider booking a room through Airbnb instead of staying in an expensive hotel…then, take it a step further by leasing out your house while you’re gone. Talk about an easy way to go on a free vacation. As silly as it may sound, virtual assistants are in crazy high demand. The industry has grown over 95% in the last 3 years alone. It’s also one of the better-paying work from home jobs on the internet with most assistants earning between $35-$50 per hour according to Gina Horkey, the owner of the VA training site Horkey HandBook. Whether you’re a stay-at-home mom or dad looking for a second career or you’re just looking to make extra cash for skills you already have, becoming a virtual assistant may be the perfect fit for you. Compound interest is a powerful thing. Everyone knows that. Yet so few people are actually taking advantage of it. If you’re wondering how to make extra cash without actually having to do any work, take just a couple of minutes out of your day and open a high-yield savings account. 5 minutes and you’re done. The perks? You’ll earn several times the national average on your savings and you can take it out at any time without incurring penalties. Say hello to a free $100, $500 or even $1,000 per year. 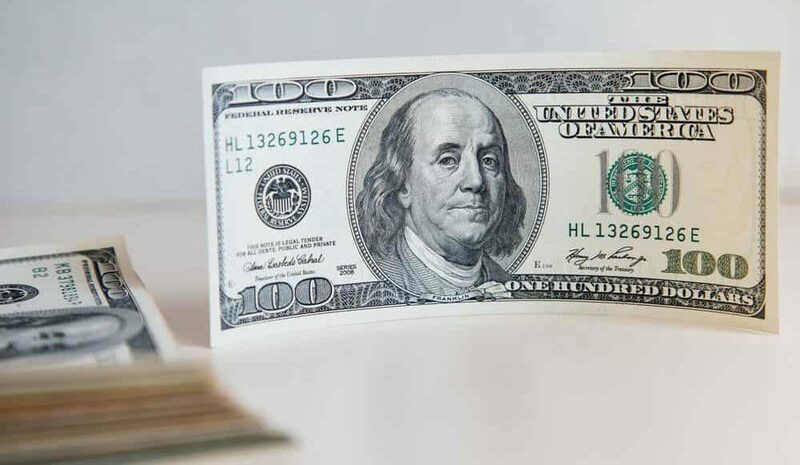 Savvy savers can currently earn over $2,000 per year in free money for every $100,000 deposited at today’s interest rates. Think of Ibotta like your normal store rewards cards on steroids. The app gives you a rebate for virtually any brand of item you buy and is especially valuable at popular food retailers such as Kroger, Food Lion, and Walmart. Better yet, you can earn even more money for inviting your friends to use the app. You even get $10 just for signing up, and they’ll also pay you $5 more for each friend you refer. To get your cash back, all you have to do is scan the item’s barcode, take a photo of your receipt, and the money gets credited to your account within 48 hours. Your earnings potential is unlimited. Not bad considering you’re helping your friends save money and handing them an extra ten bucks at the same time! This one is near and dear to our hearts because it’s how we earn our paycheck. Starting your own website is a simple way to have fun, love what you do, and make some money on the side. With a full-time job, this is also great way to release some of the daily stress from your work life. You can build a site that looks just like ours in under 15 minutes with a company named HostGator. All you have to do is pick out your website name, install the software (WordPress), upload a free theme, and get someone to design you a cool looking logo on Fiverr. Boom, you’re all set and ready to write. You can make extra cash with your website by selling affiliate products, using display ads, and writing sponsored posts for bigger brands looking to score new customers. Get a FREE website name (a $15-dollar value) plus 60% off any hosting package when you use coupon code BTOP60 at checkout. Packages start as low as $2.78/month and afford you the opportunity to make extra cash from the comfort of your own home. It’s exactly what we did when we started in 2015 and our blog brought in nearly $500,000 in 2018. Not bad for a two-guy team with zero technical knowledge or prior website experience. Believe it or not, this is a real thing. Swagbucks will actually pay users to play video games. Ever heard of Solitaire, Wheel of Fortune or Trivial Pursuit? We thought so. Enjoy traditional casino games such as video poker or slots? If you spend time playing any of these games for any amount of time, you may as well get paid to do it. Users earn “Swagbucks” for playing family favorites which they can later redeem for gift cards or even cashback through popular e-wallets such as PayPal. Finally, Swagbucks also gives users a free $10 just for signing up. Everyone has heard of Uber by now, but it doesn’t make it any less one of the best ways to make decent money as a side gig. If your car meets their minimum standards, you can be up and driving people around in days. Pro-tip: driving others around during Uber’s premium rate hours (think nights, weekends and during major events such as concerts or football games) is a great way to pad your bottom line. It’s also worth noting that Uber has recently changed their stance and is now allowing drivers to accept tips! A huge perk to what was already a great paying side hustle. Plan your own hours and sign up to drive with Uber. If you don’t have time to drive with Uber (or if you just don’t want to), then Getaround is a good alternative to make extra cash with your car. Getaround is a car-sharing service that lets vehicle owners (you) rent out their cars to people who need rides. Just like Uber and other ridesharing services, Getaround provides insurance coverage to protect your property against damage. There’s a flat fee of $20 per month to use this app. However, you can test Getaround for free for 30 days. Once you sign up, you’ll need to name your car, set the availability and location, and write a description. 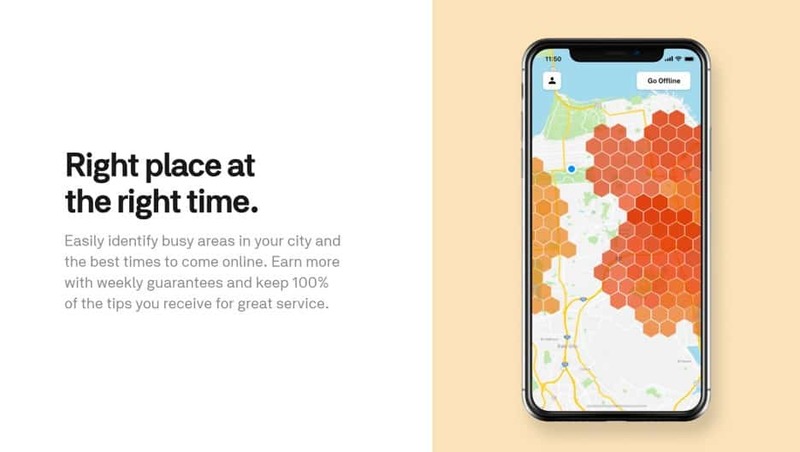 Getaround sets your hourly rate automatically based on your car’s location, year, make, model, and renter demand in your area. You keep 60% of the earnings. If you decide to stick with Getaround after the free trial, you’ll need to pay a one-time fee of $99 for a Connect™ installation. Connect™ allows renters to locate and unlock your car during available times so you don’t have to deal with the logistics of meeting up to hand off keys. It also comes with added security features like tamper detection, engine lock, and GPS tracking. You’ll get your own digital key so you can access and unlock your car whenever you need it. If you’re looking to make money with a full-time job without having to leave the comfort of your home, this is a solution for you. A company named InboxDollars will actually pay you to use their search engine instead of some of the more prominent ones like Google and Bing. You get $0.15 for every 4 qualified searches you complete and an additional $0.05 each time you use the search tool 4 times in a week. You’re not going to get rich quick, but you may as well make a few extra bucks for searching the web like you normally would. You can’t game the system, apparently, they can tell when you’re searching naturally, so stick to just using it as your normal search engine and appreciate the extra dough! They offer users a free $5 just for signing up and earnings are credited to your account in under 15 minutes. If you’re looking for an easy way to make extra cash from home, consider helping companies like Vindale Research in their quest to collect information. Big corporations want to know more about consumer spending habits and they’re willing to pay you to get that information. Completed questionnaires typically pay out between $0.25 and $50.00 depending on your qualifications and how long they take to complete. With hundreds of questionnaires added daily, nearly $7,000,000 paid out to date, and cashouts via PayPal or check, there’s no reason you can’t make a few extra bucks each month in your spare time. Better yet, they’re offering a free $2 just for signing up. Can’t beat that. If you’re looking for a way to make money on the side with a full-time job that also benefits your physical health, you can now get paid to lose weight. Would you like for someone to actually pay you money each time you lost a pound? How about $200 for each pound you lost? Well that’s actually a distinct possibility through a little-known company named HealthyWage. The company poses itself as a support community to help people lose extra weight…but let’s be honest, they’re basically betting against the fact that you can’t. Losing weight is really hard, but it’s not impossible. If you’re super disciplined and dead set on finally shedding those pounds, you can literally wager against them that you’ll meet your goals. Since merely being healthy isn’t motivation enough, hurting you where it counts (your wallet) often is. If you think you’re up for a serious challenge this year you can start by tinkering with their Prize Calculator. Their prizes max out at $10,000 (which is pretty hard to achieve) but if you start with something fairly realistic, let’s say 20 pounds in 6 months, you could win up to $1,200 with a $100 monthly bet. They’ve recently been featured on CNN, The New York Times and The Today Show so we suspect they’re going to get pretty big, pretty quick. See Also: HealthyWage Review – Is it legit or not? For the thousands of you dealing with student loan debt out there, I feel your pain. I too am in the process of paying off over $100,000 of student loan debt and I’m totally over it. Fortunately, I got a great rate through a private loan I made with Discover Bank. For those of you who weren’t so lucky, it’s time to take a few minutes out of your day and refinance your student loans. Odds are you are at least a little better off now financially than you were during your college years. If you’re currently paying thousands a year towards student loans, you could save hundreds by getting a new interest rate. Stop being complacent and continuing to pay 6.5% on loans when you’re now eligible for 2.8%. That’ll save you $370 a year in interest for each $10,000 you have on your balance. For example, if you’re still stuck with $40,000 in student loan debt, you could be saving $1,480 a year on interest payments by refinancing. Lenders like SoFi will take a look at your existing loan and try to beat your current rate – they still make money and you get to save money – a win-win. It’s an easy way to put extra cash back in your pocket and probably a decision you should have made long ago. Stop putting it off and refinance those loans today! The most tried and true way to make extra cash, investing is a must for anyone who is serious about bettering their financial situation. For some of you, that’s very, very doable. For those of you that can’t do quite that much, that’s okay, the principle is what really matters. Start young, even if it doesn’t feel like much, and let your money work for you as you age. Here’s a roundup of the best online brokers to help you get started. One of the simplest ways you can make money on the side with a full-time job is to become a Neilsen panelist. “By participating in Nielsen research, you can improve products and services you use online today. Nielsen Computer and Mobile Panel combines your unique internet usage with people like you to build a picture of internet behavior,” according to the company’s website. What it means: if you don’t care if someone watches what you search, Nielsen will pay you to do just that. They then pass that information off to companies so they can better market to people similar to you. Like Swagbucks, Nielsen has a AAA+ rating with the BBB and has been around for over 90 years. Nielsen also gives away $10,000 each month to active users. And that’s it! If you need extra cash, make sure to refer to this list of ways to make extra money. Most if not all of the items on this list require very little effort on your part (other than maybe vacuuming a room and washing your sheets if you choose to rent out a room). These days, making money on the side with a full-time job can be as easy as sitting on your couch with a computer on your lap. Do you have other smart ideas to make money? Tell us yours in the comments! Hi! I'm Ben. A personal finance nerd on a mission to help DollarSprout readers make and manage financial decisions. A quoted contributor for Business News Daily, Business.com, Discover Bank, Moneyish, Student Loan Hero, Policygenius, TechRepublic, and more, I work to help others live their financial best life. Interesting ways of making money you’ve listed here. Are all of these applicable in Nigeria? I know of Airbnb and Uber but the rest are new to me. To be quite honest, I really don’t know. There are definitely country limitations/offerings and not all will be available in your area. My advice would be to pick the one or two that sound most interesting to you and then do a quick search in their terms of service to see if they have offerings in your country. Hey man I just wanted to say this article was an absolute godsend for me. You should thank your webcrawlers (or yourself I dunno) for getting this sucker at the top of google search results. But in all seriousness this helped me immensely and I thank you so much for that. Cheers!